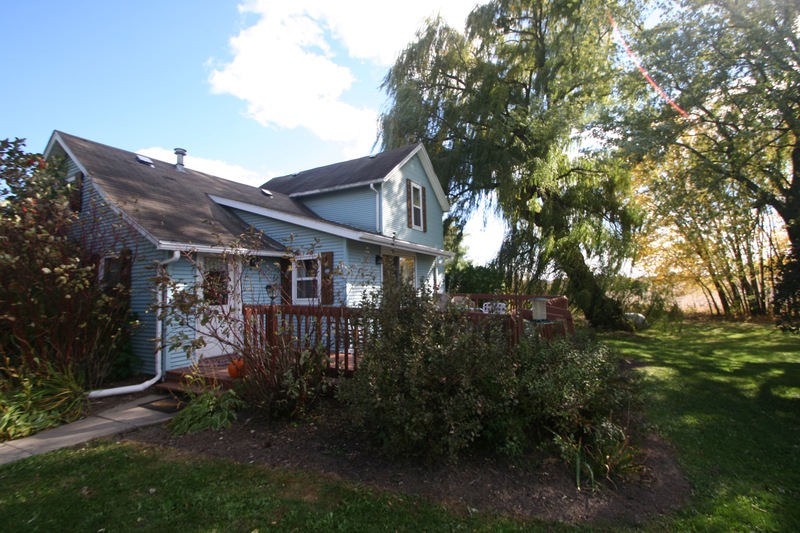 An October weekend at the Prairie Hill Farm vacation rental: The Farmhouse. 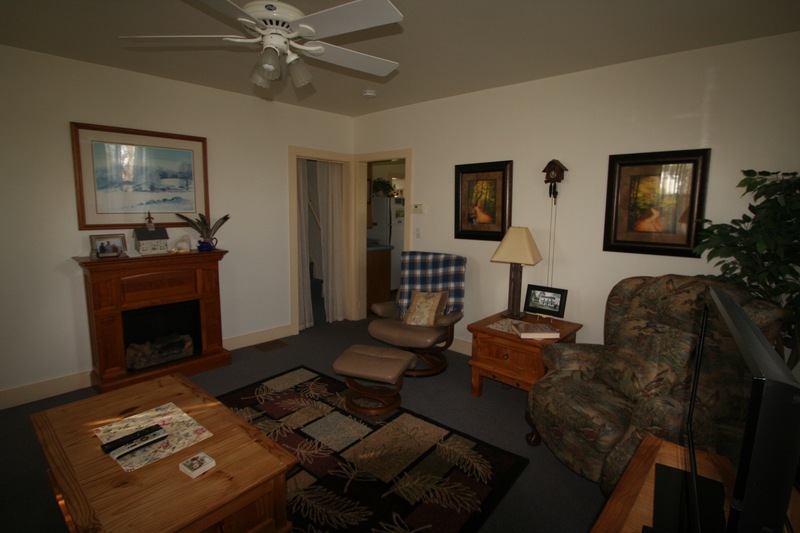 As the owner of RentWisconsinCabins.com, my family and I choose to stay at cabins, cottages, lodges and homes whenever we can. 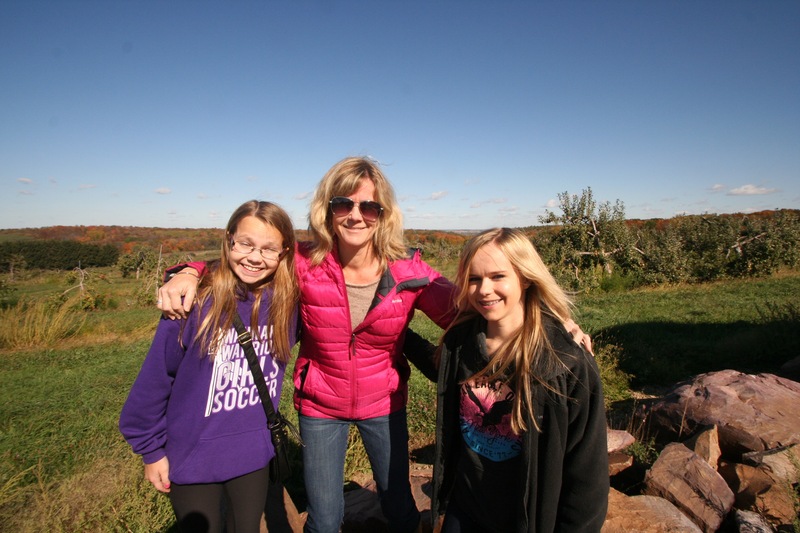 Thanks to Tish and Robert, the owner of Prairie Hill Farm in Merrimac, WI, we got to experience Vacation Time on the farm! 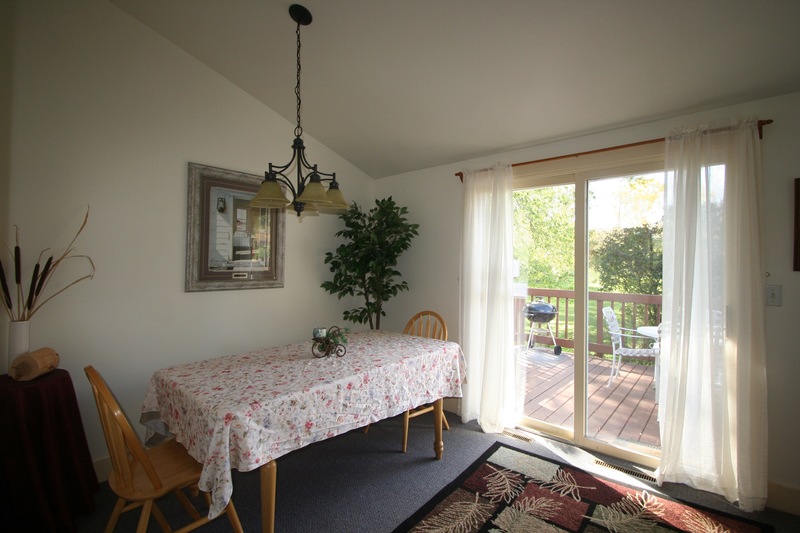 Vacation rentals come in all shapes and sizes, and unlike hotel rooms, no two rentals are the same. My wife and two daughters had the opportunity to stay at their Farmhouse vacation rental. 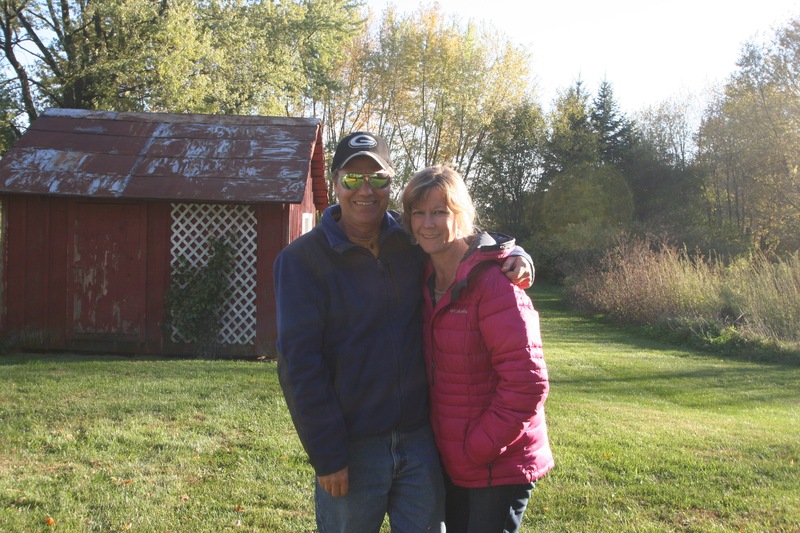 Tish and Robert have 2 vacation rentals on their spacious 80-acre farm with several groomed hiking trails. It was like hiking at a state park. At the highest elevation is a grass landing strip for small airplanes – this is the only vacation rental I can think of that comes with its own landing strip! 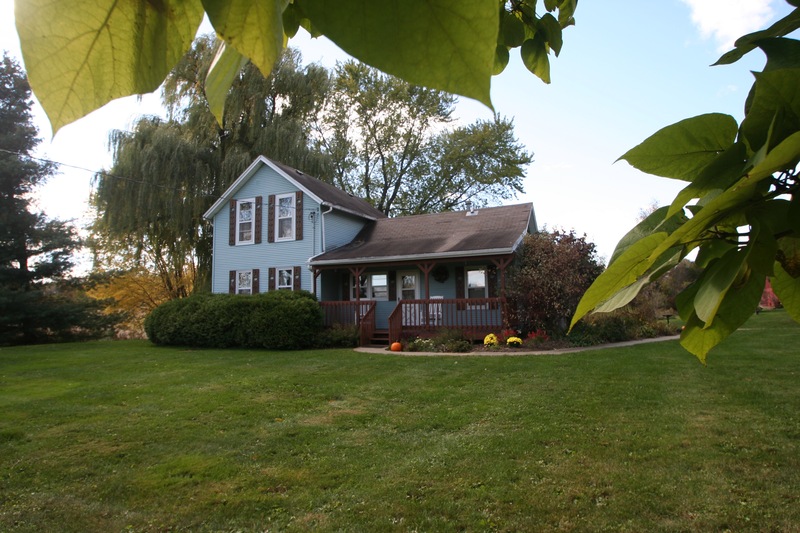 We were lucky enough to stay at the beautiful Farmhouse in October, during the peak fall color season. The trip to and from the “farm” included a Ferry ride across the Wisconsin River (at Merrimac). The bright foliage up and down the river was spectacular. We arrived shortly before the check in time of 3PM and were surprised to see how private the setting was. The checkout time of 11AM was refreshing too – sleep in, no hurry, have breakfast at a country pace. 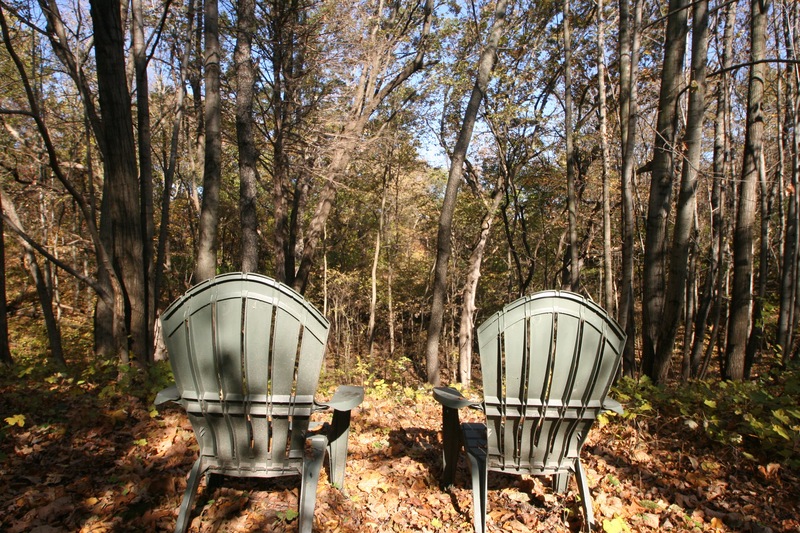 The two rentals on the property were separated by woods, valleys and fields. We did not see the renters in the Cabin the entire weekend – even on the hiking trails. 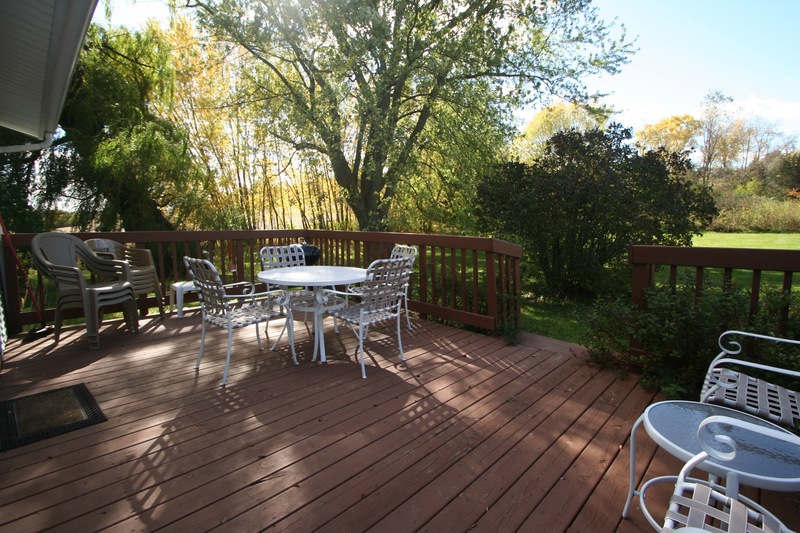 If you like a peaceful, country setting, either of these rentals will work. We did take a peak at the Cabin, which was up by the grass airstrip and it appeared to have an amazing view. Back at the Farmhouse, the kids played soccer in the large back yard, while I flew my new Drone/Video Camera in the large front yard. Here’s a YouTube video from the drone. Because my wife grew up in a farmhouse in Waunakee, Wisconsin she expected some sounds and smells of critters on the farm. However, when we stepped inside the house her first reaction was how clean the home was. In fact, the entire weekend she commented on how unique and spotless the home was. 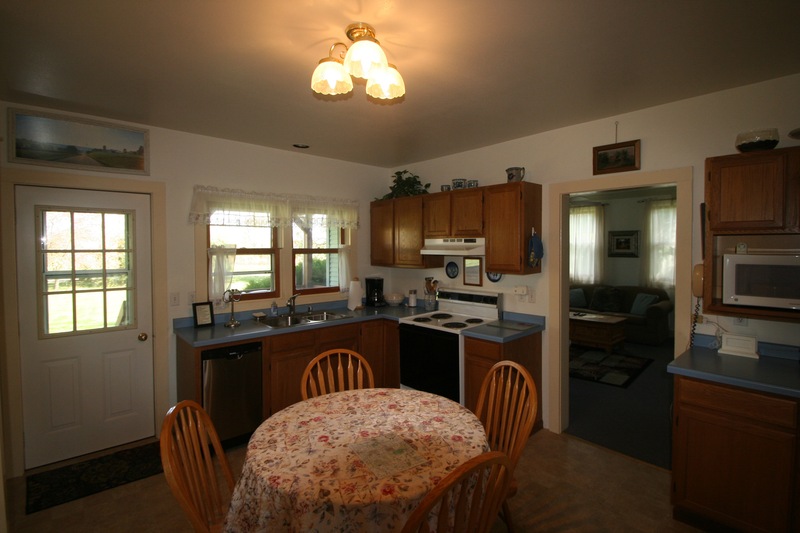 And yes, there were plenty of familiar farmhouse features that brought back memories. 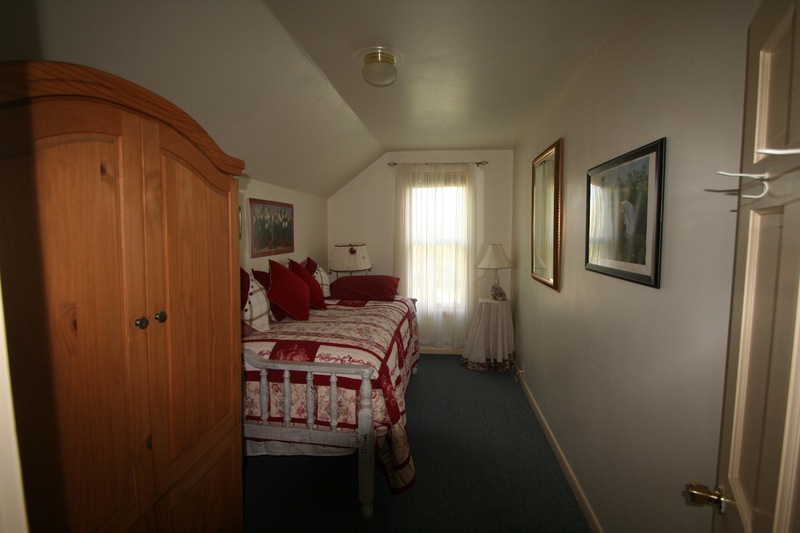 The “trademark” steep & narrow stairway up to the two bedrooms was just like her childhood home. I quickly found a map of the farm that detailed the hiking trails and area points-of-interest – helpful for planning the days activities. Lots of amenities at the Farmhouse: Great movie selection for late-night viewing, lots of reading material, outdoor charcoal grill ((which I did not get to use), big wood deck (which we did get to use), kitchen was big and cupboards had everything needed to cook and serve three meals a day. Plus a dishwasher and washer & dryer. One of my favorite things to do was grab some mid-morning coffee, sit on the front porch and enjoy the warm sun with my daughters – one of which is heading off to college in 2016. Memories like this are rare, and I could not imagine choosing to stay in a hotel room. They say cabin-type getaways are becoming more popular with next-gen vacationers. This is exactly why my company is rolling out several state-specific, vacation rental websites. 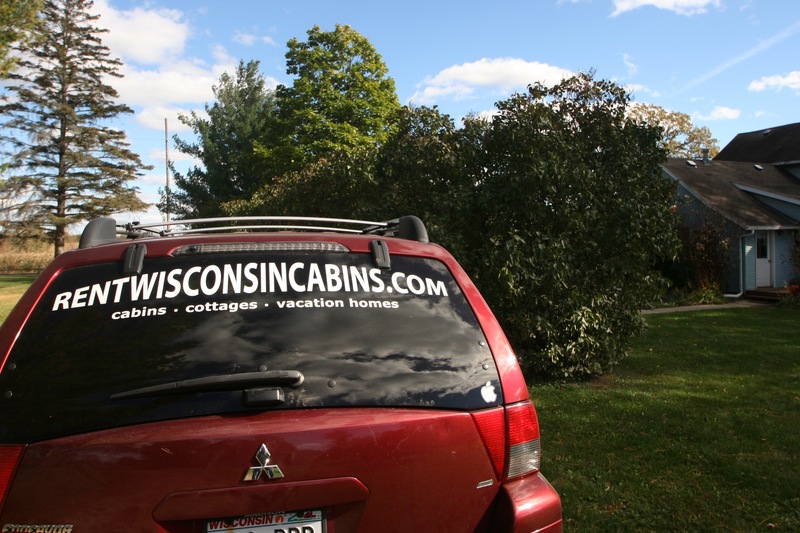 I grew up on our family-owned cabin resort in northern Wisconsin, so the idea of staying at cabins and cottages is not new, but I am glad to see the rental industry is getting some much-deserved attention. 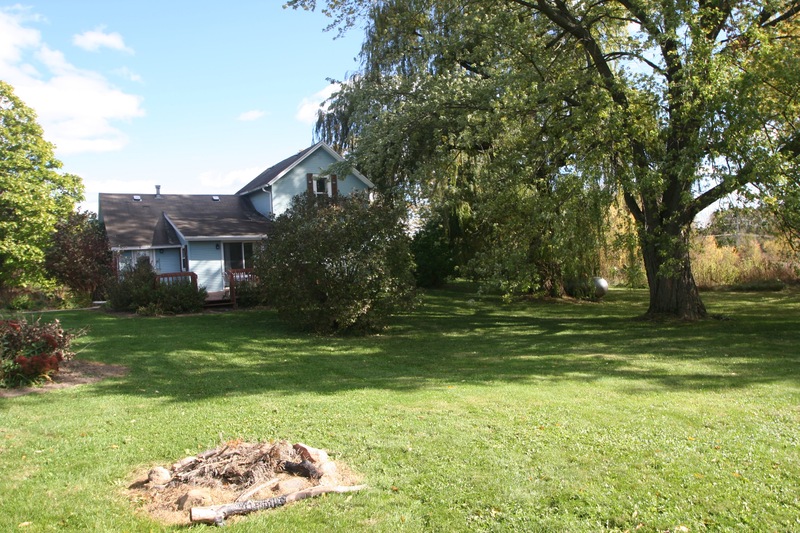 The downstairs master bedroom window faces a massive Willow tree that guards the farmhouse. Waking up to that view both mornings was special. 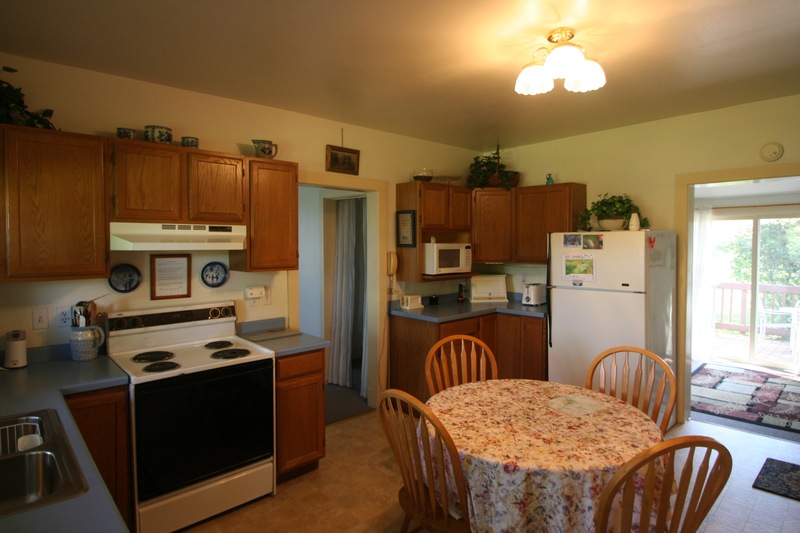 The Prairie Hill Farm vacation rentals are perfect for your family vacation. 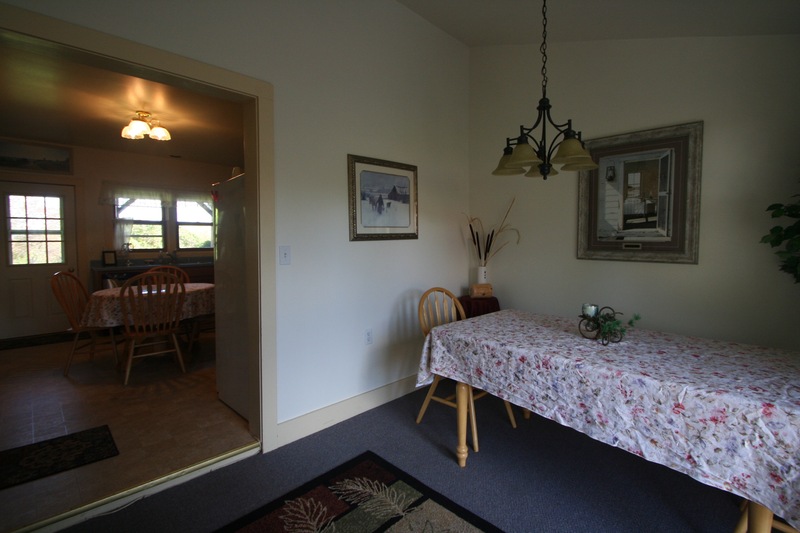 Rent the Farmhouse and the Cabin if you have a larger group.